Wholefoods House supports the Stephanie Alexander Kitchen Garden Foundation and their work with Bondi Public School. 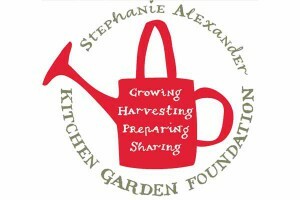 The Stephanie Alexander Kitchen Garden Program involves children in the growing, harvesting, preparing and sharing of their food, encouraging positive food experiences and a lifetime habit of healthy eating. The Bondi Public School was chosen to be the Stephanie Alexander Kitchen Garden Foundation demonstration school for NSW, helping the school to continue its commitment to good food and sustainability. Wholefoods House regularly provides the school with organic ingredients for fun and nutritious food.